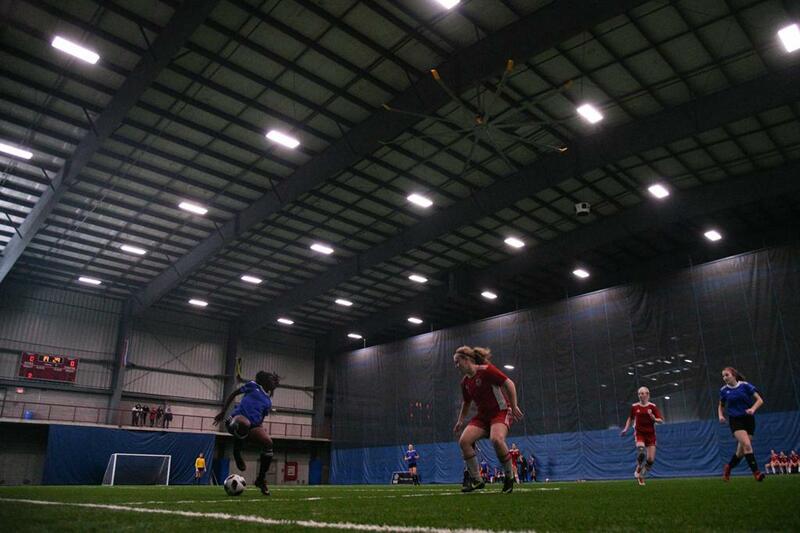 The Ontario Indoor Cup finals wrapped up Sunday at the Ontario Soccer Centre in Vaughan. The competition for the U-18 girls wrapped up with the London Football Alliance taking on the North Toronto Nitros in the final. London Football Academy was on the front foot early and would test North Toronto’s backline. North Toronto keeper Arden LaRose made numerous spectacular saves to keep the game locked at 0-0 through the first ten minutes. Both sides would trade chances throughout the first half but weren’t able to find a way through before the break. The second half would begin much the same as the first with London pressing for the opener. And once again it would be the North Toronto keeper, now Patricia Vrysellas who was subbed on at half, standing tall, making big saves to keep her team in it. London would finally find a way through with under 20 minutes to go. Alicia Domingues got on the end of a long ball that drew the keeper out of her net. Domingues beat the keeper to the ball and slipped around her to put the ball into the empty net and make it 1-0 London. North Toronto would answer back five minutes later when Tierra Garniss had a ball played into her feet. She turned her defender and slipped through on net and blasted her shot past the London keeper to knot the game at 1-1. Neither side would find another goal in regular time and the final went to penalties. 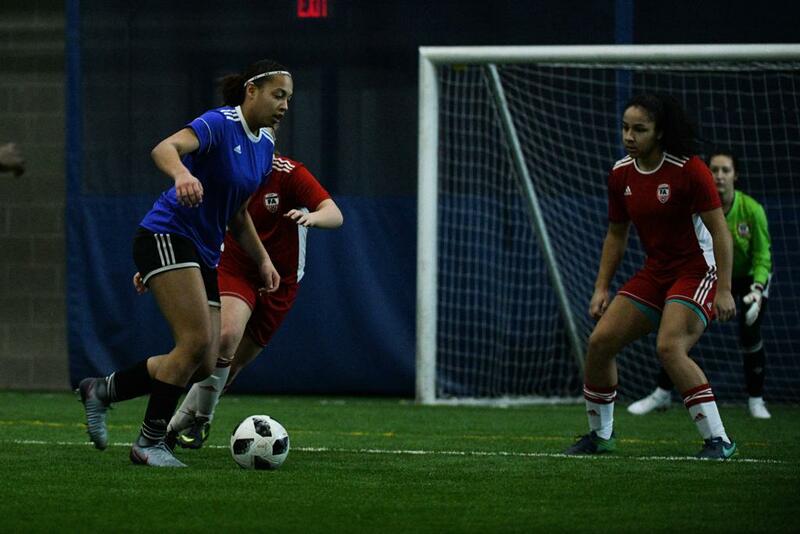 In penalties, it was London’s keeper Taylor Mitchener and North Toronto’s Vrysellas who were the stars, making key saves to ensure their respective teams stayed in it. 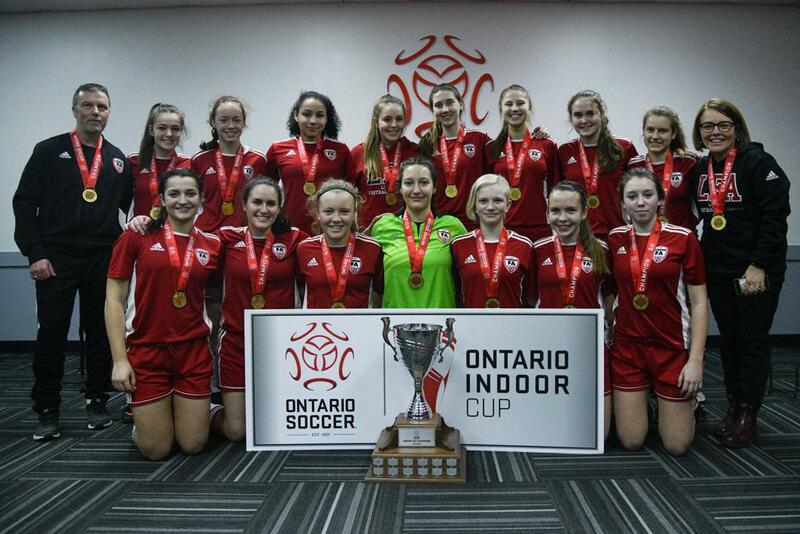 When the dust settled though, it was that was Mitchener who was able to do just a little more and help her team with the U-18 Girls Ontario Indoor Cup.